Steven Moffat has made it clear that the version of “The Day of the Doctor” that made it onto screens for Doctor Who’s 50th anniversary celebration was far from the first iteration. 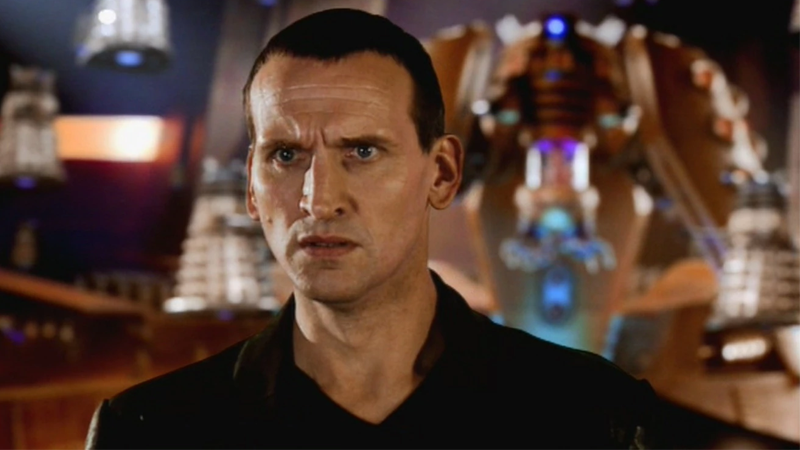 An early draft, which reunited the Tenth and Eleventh Doctors with the Ninth incarnation, was scrapped when Christopher Eccleston declined a return—and now samples of that script are being released for the first time. Even better, it’s for a good cause. An extract from the Ninth Doctor version of the script—before Moffat was forced to come up with the “War” Doctor, a previously unseen incarnation of the Time Lord, played by John Hurt—is included as part of Observe Book’s Doctor Who fiction anthology, A Second Target for Tommy. Sales from the anthology, curated by writer Tommy Donbavand, will go toward the treatment for Donbavand’s cancer. But aside from being for a charitable cause—and a chance to read some new Doctor Who stories as you while away the many months until Jodie Whittaker’s debut as the Thirteenth Doctor—getting to see what nearly could’ve been for Doctor Who’s 50th celebrations is definitely a tempting one. A Second Target for Tommy is currently available in paperback from Observe Books.